Once you have written your introduction and the main body of your essay, it is all to tempting to feel that your homework is done and that a rushed conclusion will suffice. This is simply not the case. Just as your introduction is key to grabbing the attention and interest of your reader from the outset, the conclusion is the part of your essay that your teacher or examiner will read last. As such, it needs to be impressive. 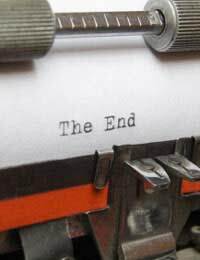 Although many successful essays do signal the beginning of a conclusion to the reader by using the words, “To conclude...”, or, “In Conclusion...”, this is not necessary and may irritate your reader. A thought provoking and unique beginning will be far more effective. One of the purposes of writing a conclusion is to bring the threads of your argument together. However, there is no need to ploddingly repeat all the points that have been made in your essay. To begin your conclusion, try to summarise your main argument in one strong sentence, presenting your ideas in a fresh way. Throughout your essay, you may have been looking at the arguments of others, evaluating them, comparing and contrasting them and applying them to different situations. The conclusion offers you the chance to let your voice be heard. You will already have delivered the points of your argument in the main body of your essay and will have backed them up with reliable evidence so don't be afraid to offer your opinion forcefully at this point. In order to further your argument, move on to looking at the issue you have discussed in a wider context. There is no set formula for writing a conclusion. The concluding paragraph of your essay is your opportunity to bring more personal and unusual ideas into your essay. As well as summarising your argument and bringing about closure for your reader, the conclusion is your opportunity to look outwards and drive home to the reader why the subject your have been discussing is of great importance. You might like to use an powerful quote or statistic in order to support your ideas. You might also like to take a moment to evaluate the main argument of your essay, touching on the implications of your thesis and any limitations it might have. A sentence could also be devoted to an explanation of the complexity of the issue and debate. There is no best length for a conclusion. When you feel satisfied with your closing paragraph, it will be time to put you pen down. Nor is there any set structure. Your conclusion works hand in hand with the main body of your essay. The middle will reveal your skills of analysis, comparison and essay form, whilst the conclusion will signal your creativity, originality and engagement with the topic. A successful conclusion will leave your reader in a thoughtful mood; intrigued and impressed. If you have felt inspired when writing it, the chances are your reader will enjoy it too.